We recognize that everyone is different. Clients can have different skin types, texture, tissue volume and overall different aesthetic goals. The best outcome is achieved when we consider each individual’s unique needs with the most advanced and safest nonsurgical techniques we have available. If you want the med spa experience at home, we offer a wide range of products so you can maintain the effects of your treatments between appointments. With the newest technology in lasers and skin care treatments we are able to provide today’s most popular procedures. There are no complicated pretreatment rituals with any of these procedures and you can generally resume your normal activities immediately following treatments. Contact us or schedule a time to talk! Request an appointment to begin your aesthetic journey. Find out how we’ve helped others look and feel their best. Dawn opened the doors of the medical spa over 16 years ago. Her facility was the first true laser & skin care center of its kind in Chattanooga. 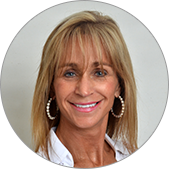 Dawn is a licensed Aesthetician and certified laser technician and performs all of the treatments herself. She has 16 years of experience using a variety of different lasers and administering many types of laser procedures as well as other skin care treatments. She provides her clients with the gold standard in treatment care. It is important to Dawn for her clients to have a positive experience from the minute they walk in the door until they leave the facility. Her number one priority is to provide her clients with highest level of professional care possible.